The goal for this year is to get your child used to structured learning and broaden his or her horizons. Some children may devour the information you give them. Others may not be interested at all. Take your cues from your child. If he or she does not want to do “school,” put the books away and try later. Why spoil his or her love for learning for the sake of one worksheet or letter puzzle? Each day’s lesson has enough activities for thirty to sixty minutes of academics. If your child is enjoying a particular activity, let him or her continue. If your student is bored or tired, move on to something else. The lessons are not designed to be a burden for you or your student. What happens if your child wants more? Choose some of the themes from the lessons and get books from the library for your child to browse. Read favorite storybooks out loud. Give free access to basic art supplies such as paper, crayons, and stickers. At this age, unstructured activities are just as important as structured ones. In Bible, your student will learn how to live for the glory of God. In math, he or she will learn number recognition, counting, shapes, and more. History/social studies covers different cultures both past and present. Science emphasizes wild and domestic animals. Language arts teaches the alphabet, letter recognition, and phonological awareness. In art, your child will learn basic colors and shapes. Music focuses on Bible songs and Scripture memorization. This program is designed to meet your needs. 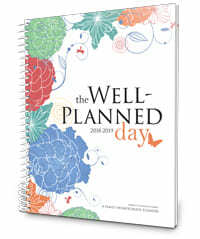 It is set up with a 36-week, 180-day lesson plan. In the last few weeks, you will find fewer activities so that you can catch up or explore other areas of interest. Do not feel pressured to complete every activity. If it is boring, too difficult, or too easy, skip it and go on to something more appropriate. This program seeks to give you the tools to meet your child’s educational needs. 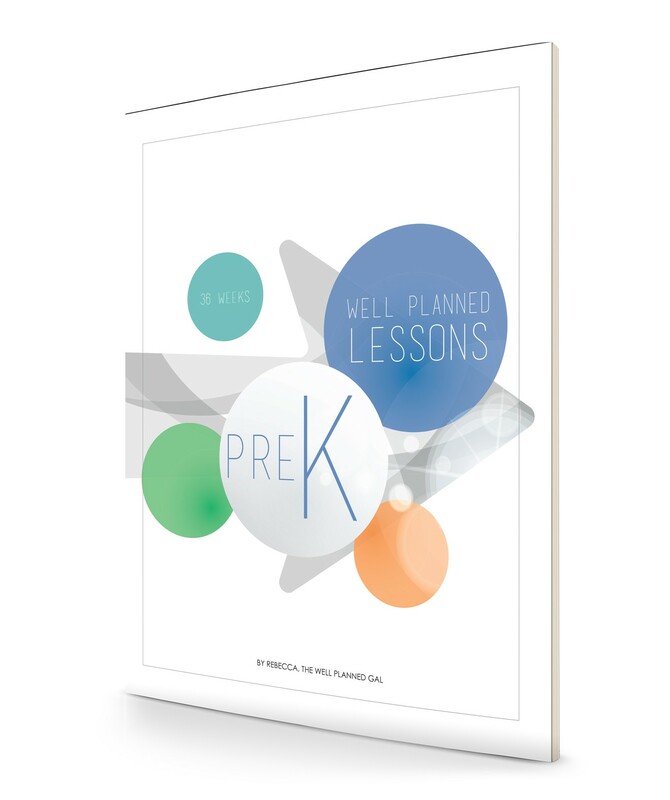 Your student will enjoy this seek-and-find book. The pages are colorful, and the times and places are real. It is used for both history/social studies and science to introduce students to the interesting world around them. 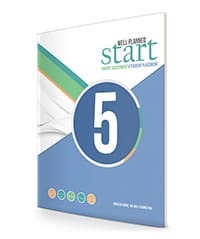 This workbook covers a broad spectrum of subjects including math, social studies, science, language arts, and art. It is the product around which most of the PreK activities are formed. 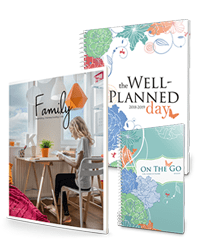 Your student will be assigned two or three pages to be completed two to four times per week. Also used in math, language arts, and art. This product is used to teach number identification, number sense, and counting. Your student will enjoy matching the puzzle pieces, placing pegs in the holes, and counting. The Primer Pak includes lacing and tracing shapes, a letter puzzle, Locktagons, and mini shape puzzles. The lacing and tracing shapes can be used to teach fine motor skills, shapes, and art, while the letter puzzle is a fun way to teach pre-reading skills. The Locktagons help with fine motor skills, color recognition, and spatial awareness, and the mini shape puzzles teach shape and color recognition, sorting, and counting. Also used in language arts. 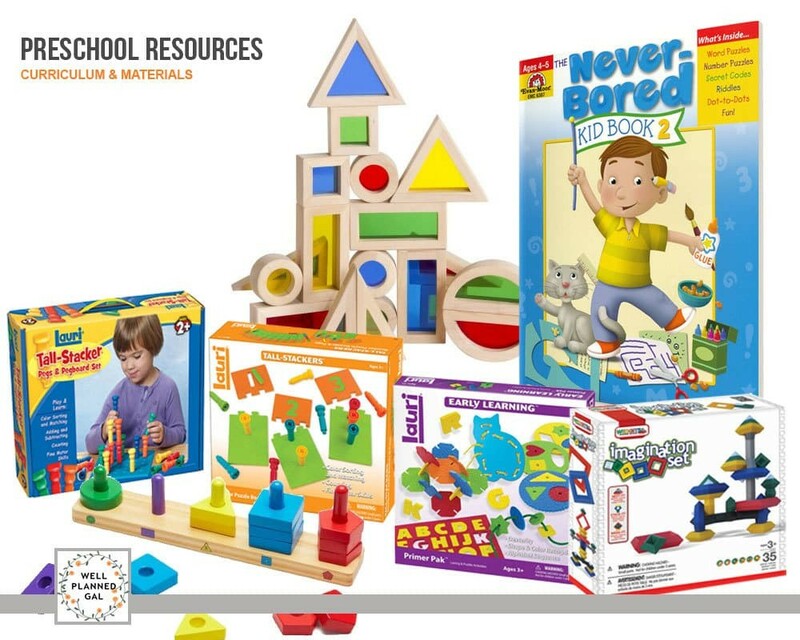 As your student interacts with this sorting toy, he or she learns valuable skills such as color recognition, shape recognition, visual discrimination, counting, and categorizing. These skills transfer to a wide range of subjects including art, math, language arts, and science. Also used in language arts and art. This product offers a multi-sensory way to learn letter recognition. In addition, your student will learn fine and gross motor skills. 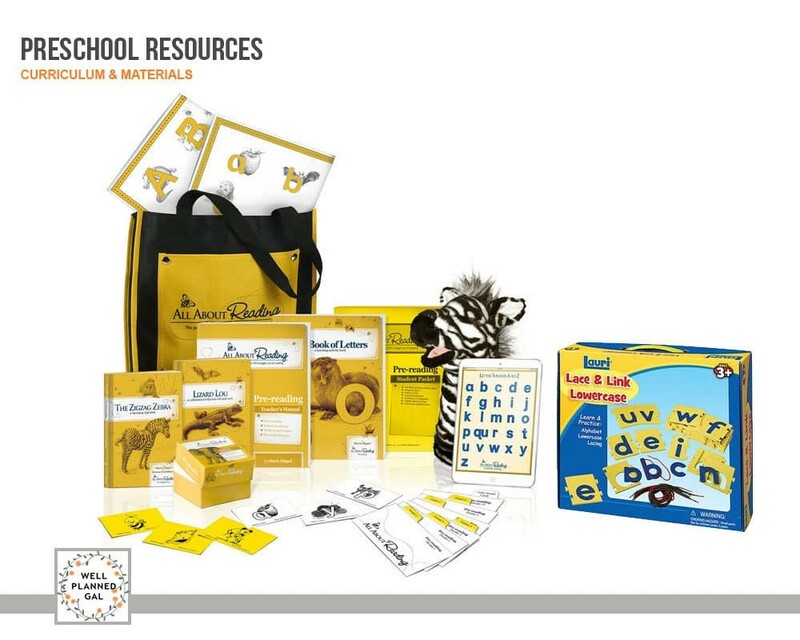 Your student will join Ziggy the Zebra as he explores letter recognition, phonological awareness, print awareness, and listening comprehension. This unique building set will help your student with spatial relationships. You can have your student construct something from the book, replicate something from a picture, or build an original creation. 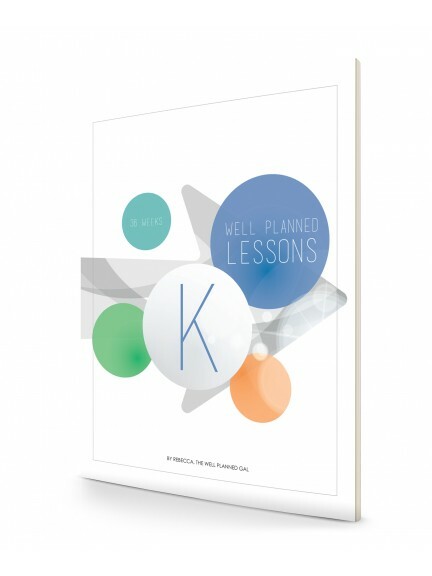 You and your student will enjoy these classic and new songs and poems. 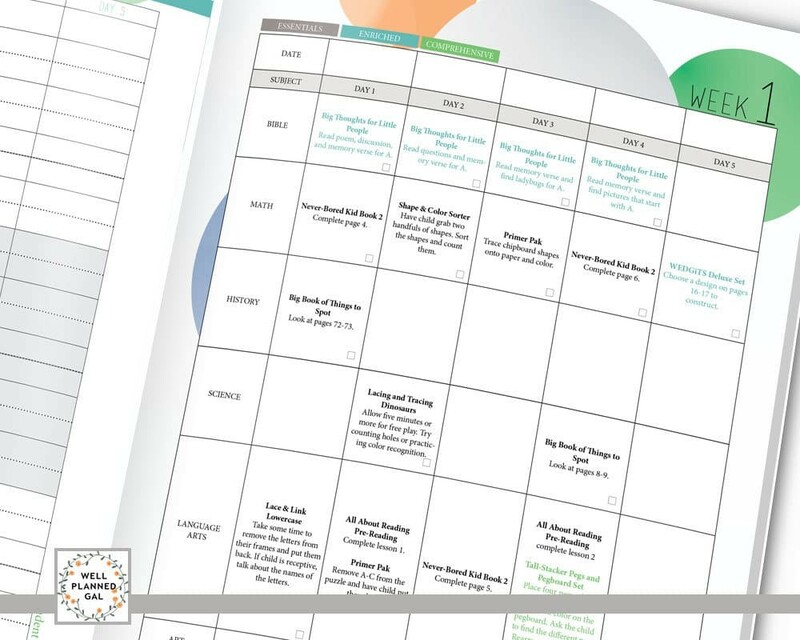 In the lesson plans, songs are coordinated with the weekly themes drawn from Big Thoughts for Little People. Every song in this collection is based on a Bible verse and sung by famous Christian musician Steve Green. 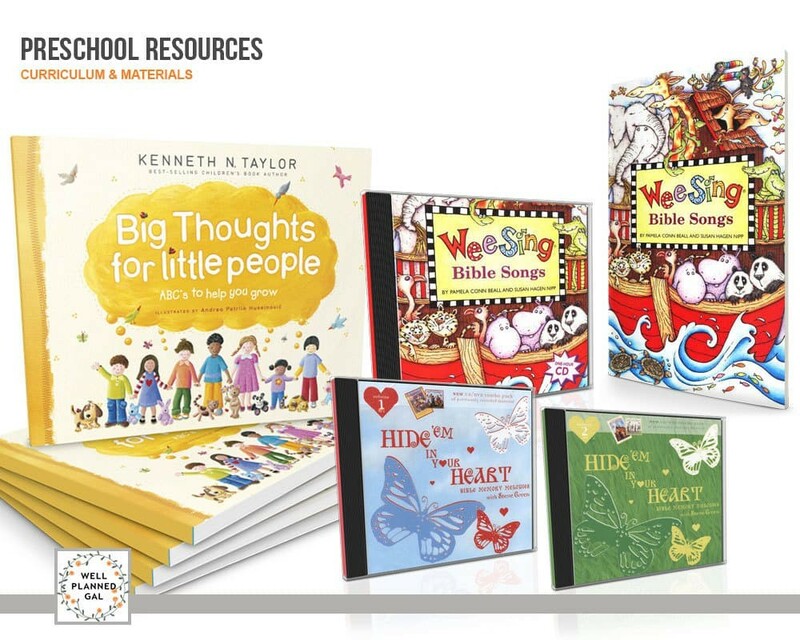 In the lesson plans, songs are coordinated with the weekly themes drawn from Big Thoughts for Little People. These colorful blocks will help your student learn colors, shapes, and spatial awareness. In the lessons, you will find these assigned as a time for free play. Students will enjoy sorting, counting, and stacking pegs. They are used to teach visual discrimination, categorizing, counting, addition, and subtraction. Also used in art and language arts. Explore all the different shapes and sizes of children with this one-of-a-kind crepe puzzle. Use the pieces for patterning, sequencing, categorizing, counting, and tracing. The frame itself can be used as a stencil to create pictures. 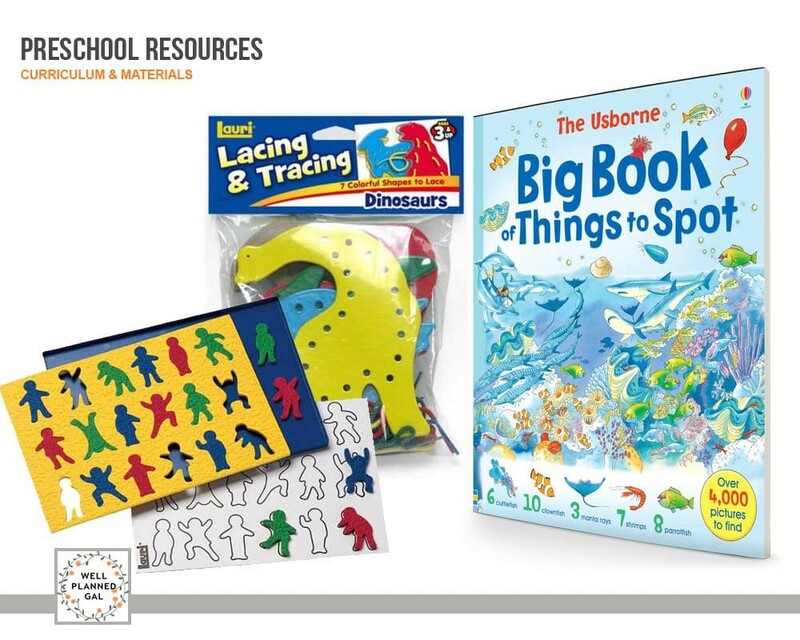 Here are a few more supplies that are specifically tailored to your early learner, most of which can also be found at your favorite local store.